Roasted pork, accented with soy sauce, ginger, chives, and a BBQ Hoisin sauce, placed in a steamed bun. From frozen must be steamed in a steamer for 6 - 8 minutes or baked at 350° F for 4 - 6 minutes until internal temperature reaches 165 ºF as measured by use of a thermometer. 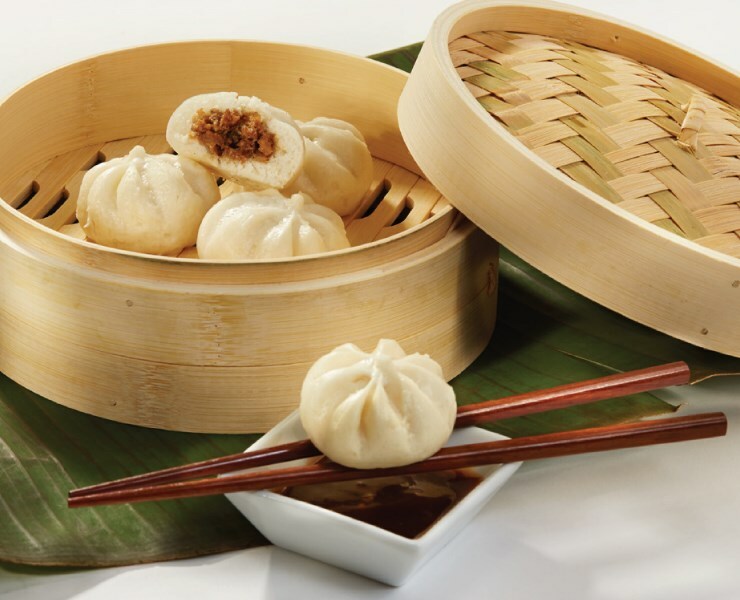 Cha Siu Baos, a classic Asian dim sum, has been readily gaining menu adoption and interest. In recognizing this interest, Kabobs’ chefs have created a miniature version of this classic item - K3629 Mini Roasted Pork Bao. Our Mini Roasted Pork Bao consists of slow roasted pork, paired with soy sauce, fresh ginger, chives, and a sweet Hoisin sauce, placed in a white dough, pre-steamed for a quick finish in your kitchen. Great as-is, or drizzle with a variety of sauces ranging from: Black Bean Sauce, Ponzu Reduction, and BBQ Hoisin. For a unique twist, try baking the product, which results in a golden brown and crisp exterior. • Steamed or Baked item. Arrives par-steamed for a quick finish in kitchen. Great as-is, or drizzle with a variety of sauces ranging from: Black Bean Sauce, Ponzu Reduction, and BBQ Hoisin. For a unique twist, try baking the product, which results in a golden brown and crisp exterior.